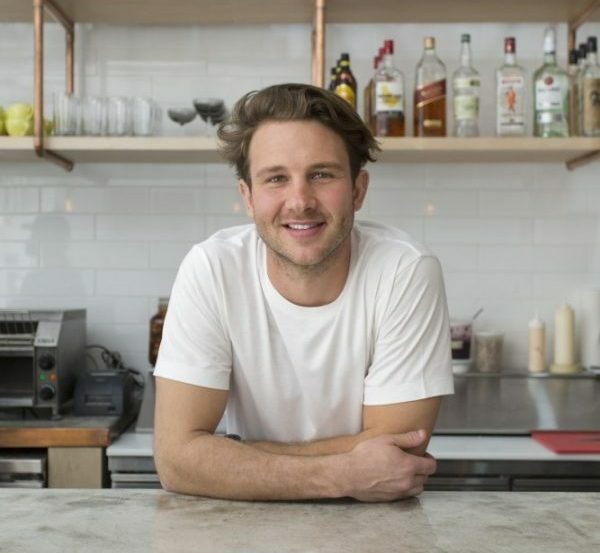 At 30 years old, Barry Dry is a Brooklyn-based restaurateur who owns Sugar Momma, Hole in the Wall Cafe and NEO Cafe on 5th Avenue and he’s just getting started. Dry was born in Perth, Australia and studied Business Management and Economics at Notre Dame University in Australia. During his academic tenure, he ran a restaurant and worked his way up from a dishwasher, to General Manager. After graduating, he moved to New York City in November 2011 to pursue a career in finance. It didn’t take long for Barry to realize that hospitality was his true passion so he left the financial world behind and opened Hole in the Wall coffee shop in Midtown in 2014. He explains that Hole in the Wall was born from the Australian espresso coffee shops he grew up with saying,“At the time Hole in the Wall opened, I realized the strong demand for a coffee and cafe culture with a high quality early morning breakfast and all day menu.” He describes Hole in the Wall as a “dog friendly, laid back atmosphere where you can read the newspaper and enjoy a high quality healthy meal like power bowls with grains and sweet potato or enjoy breakfast classics like French Toast and Pulled Pork Benedict.” He has additional plans to open another Hole in the Wall location in a 2,000 square foot space in Midtown East that will have a large outdoor area seating up to 120 guests. Most recently, Barry and his team expanded to the Financial District, opening a second Hole in the Wall Cafe location in 2017 and reinventing that space at night with the opening of Sugar Momma. The restaurant and bar is housed inside Hole in the Wall and transforms at night when the red light gets turned on. A neon sign reading “Hello Gorgeous” invites guests to come in and stay awhile. Sugar Momma highlights South Asian cooking and Barry explains it as “high quality cocktails and food with a casual chill vibe. We light cocktails on fire. Our menu changes weekly with choices like shrimp and crab sliders and farm raised pork. Additionally, Dry just teamed up with NEO U fitness studio on 5th Avenue to open NEO Café, a new organically sourced juice bar and coffee shop that houses fresh juices, smoothies, coffee, tea and Acai Bowls. Whether you’re looking for a quick lunch break, an after work boost or a purifying post-workout recovery, you can try one of their signature smoothies like the Activated Almond with Banana, Vanilla bean, Dates, Cocoa, or The Espresso and Berry Bae, which is packed with antioxidants including Blueberries, Strawberries, Dates, Vanilla and Almond Milk. Barry explains he would like to branch out into other markets and cities in the future and describes himself as ambitious. Working in finance before opening restaurants gave him an edge. He understands business, people and most importantly loves making his customers happy and it shows.